The Pat Summitt Plaza at the University of Tennessee in Knoxville honors the former UT head basketball coach and celebrates the success of the Lady Vols basketball program. 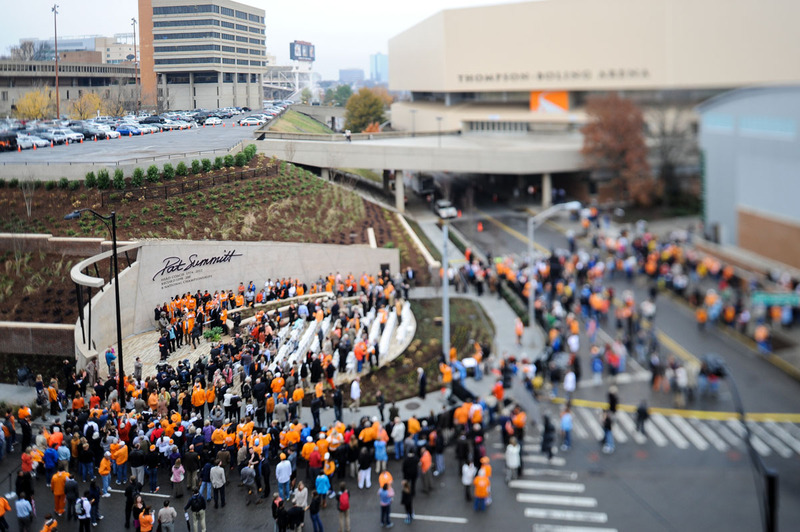 Situated nearby Thompson-Bowling Arena at the intersection of Lake Loudon Boulevard and Phillip Fulmer Way, the plaza welcomes visitors to basketball games and provides a permanent tribute to Coach Summitt. 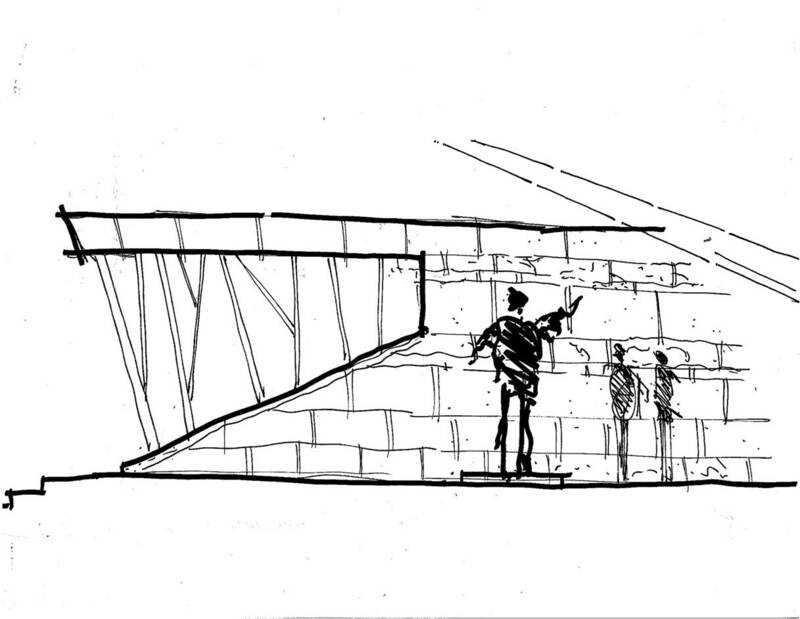 The site’s existing conditions posed a design challenge. 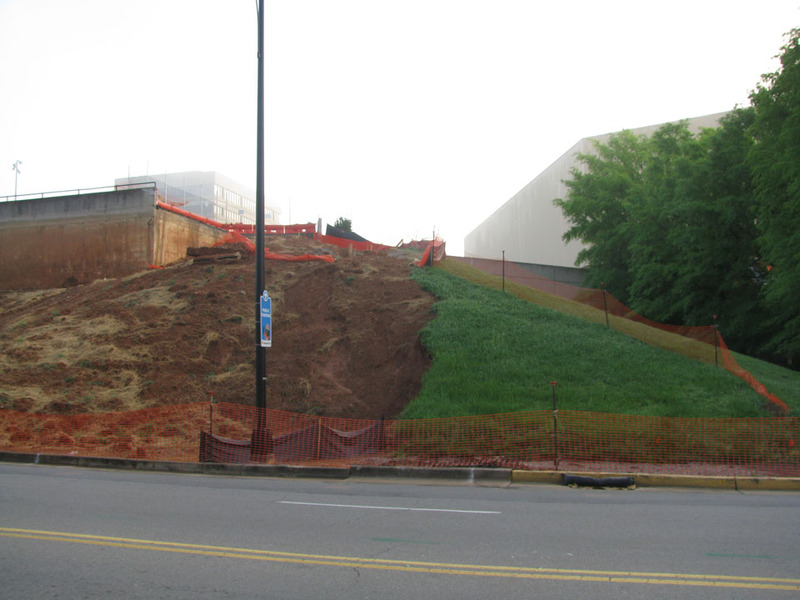 A steep slope encompassed the site, which abutts a parking garage and sits at the intersection of two prominent streets. 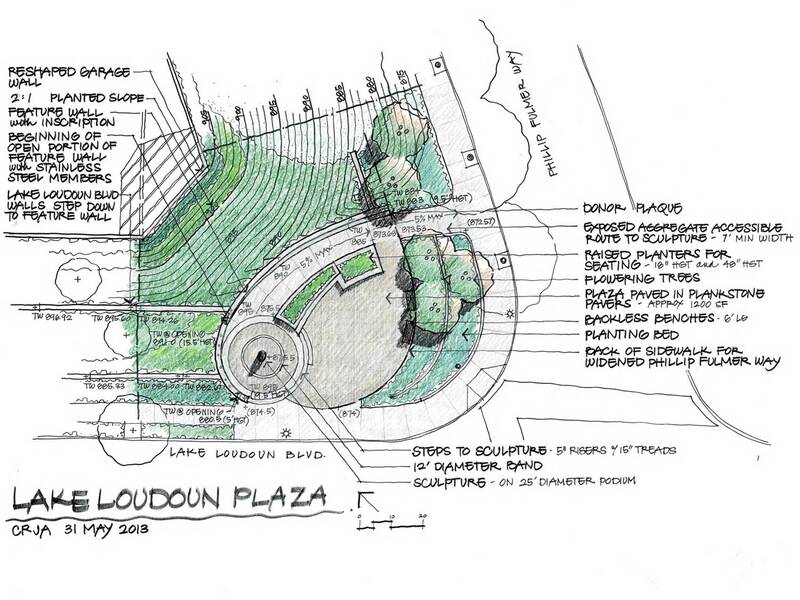 Extensive grading changes were needed to accommodate the plaza and stabilize the slope. 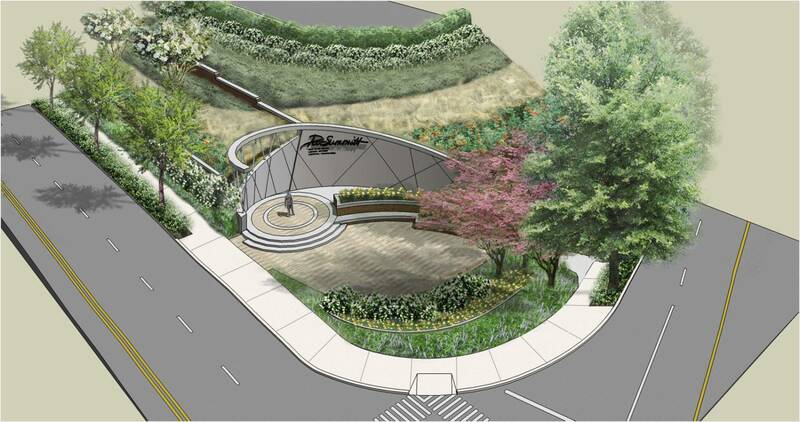 A curved, signature retaining wall retains the steep slope and creates a dramatic backdrop for the sculpture of Pat Summitt that dominates the space. 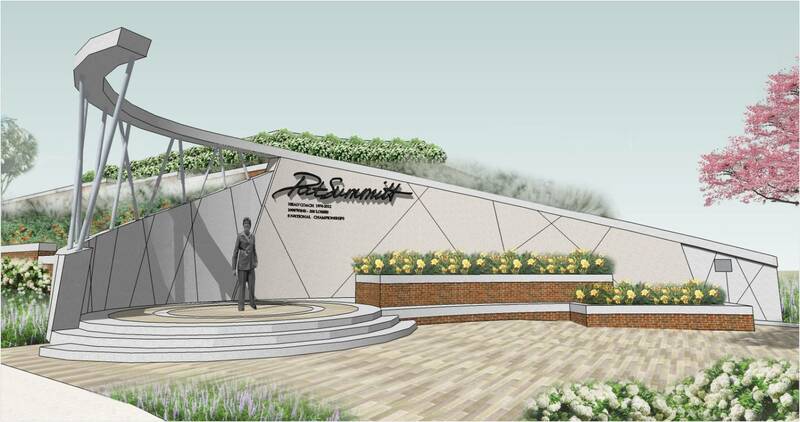 Raised on a podium above the plaza, the sculpture is accessible to all and is reflective of Ms. Summitt’s relationship with her athletes and fans. Some elements of the design subtly recall the basketball court, while others create a pleasant place for gathering at this prominent spot on campus.